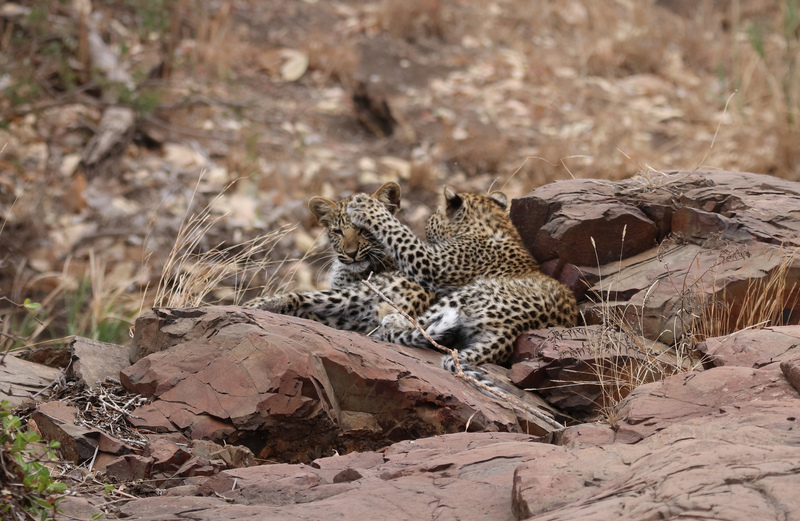 Posted October 11, 2018 by Robyn & filed under Behind the scenes, Stories from the Bushveld. We had been driving all day, enjoying plentiful sightings of birds and general game. The car was packed full of holiday paraphernalia. I had purposely kept my new camera accessible, but I had also purposely not attached the new ‘big’ lens. Due to space constraints and also being in the mindset that it would take something ‘super special’ to make me want to use the camera at this early point in the journey anyway. This particular bush trip was particularly exciting, seeing that my husband, Nic would be accompanying me for a change. I often go off to the bush when Nic has overseas work to attend to. At this stage, it should be noted that, each time I embark on a bush adventure, I always have an idea in mind of something special that I’d really like to see on that particular trip. A special ‘request’ that I put forth. 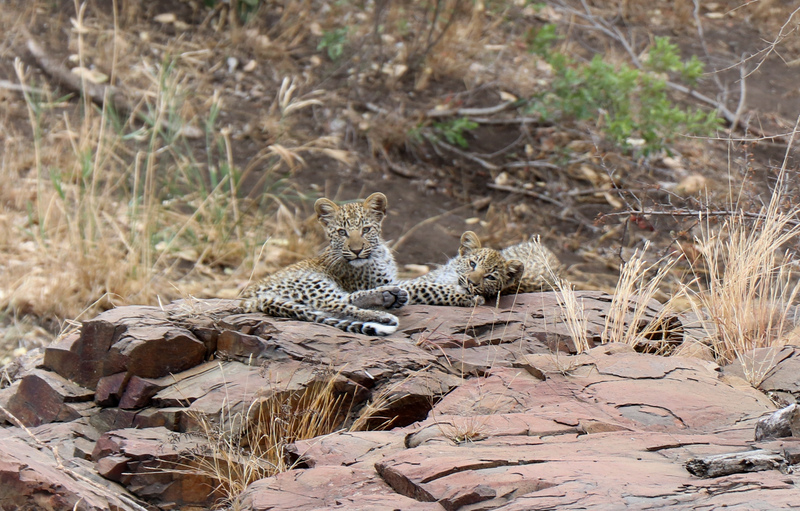 This time, I’d made up my mind that this was going to be a “leopard cub” trip. Sounds like a fool proof formula. Right? I put the idea out to the universe and then I carry on, letting nature do its thing. Do my ‘ideas’ always come to fruition?? Well, I’m still waiting on my pangolin sighting. But apart from that, Kruger and I generally have quite a good understanding about how the system works. Having left home at 4 am (a very late departure if you ask me, a very early departure if you ask my husband), we reached the south of Kruger National Park by mid- morning. We were headed for the bottom north or the park. By sticking to the tar roads, we had made good progress to the center of the park. By mid afternoon we were certainly hankering for a break from the main road. We were confident that we had enough hours left in the day to take a few detours, still allowing us sufficient time to reach camp before the gates closed. There is a lovely little dust road that I’ve come to know quite well. I had fabulous success with leopard sightings on the same road , during my Jan/Feb trip earlier this year. I spotted the same big male leopard on two separate occasions and established the idea that the little dusty track must be slap bang in the middle of his territory. ‘Come Nic, we’re going to go find that leopard ‘, I told him. It was quite uncanny. Driving along, I pointed out the tree where I’d spotted the leopard on the second occasion. Driving further along, we approached the spot where I’d spotted him the first time around. The dusty track has been modified a little bit since my last visit to the park in May (when my search for leopards on that specific road had been less successful). 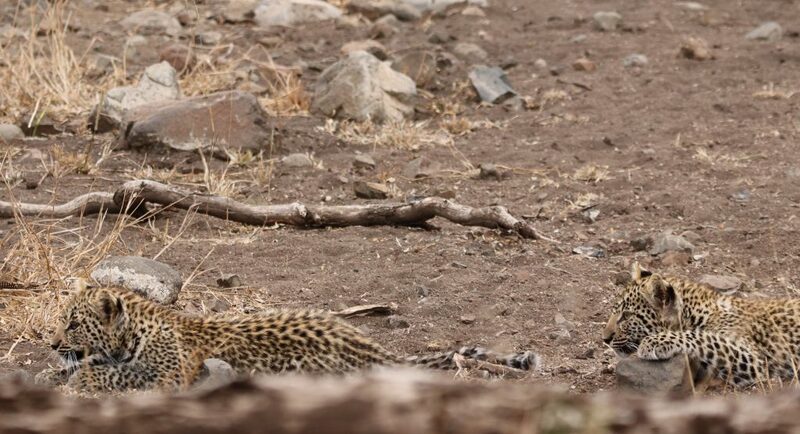 I was interested to find that an additional pull off has now been added, taking you much closer to the little bend in the dry river bed where I spotted the sleepy leopard lying in the sand in January. Nic; “ CUBS! !” (pointing right). Can you believe it! Right there in front of us. Lounging on the rocks, in full view . 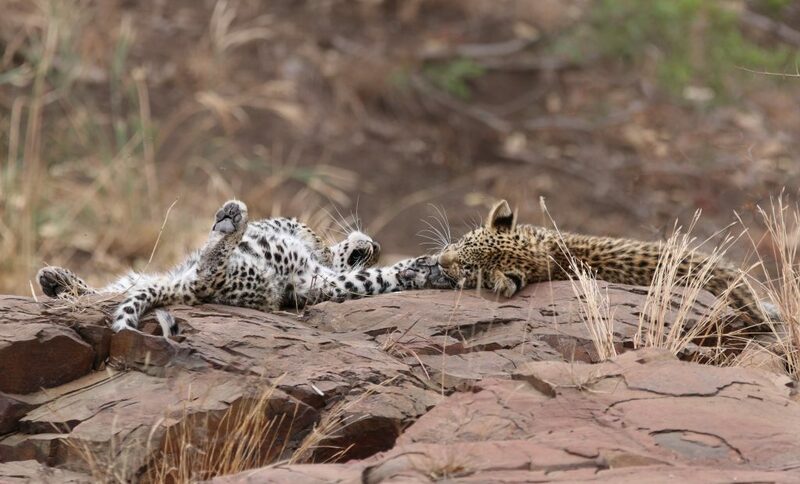 Two gorgeous, immaculate, PERFECT little leopard cubs. 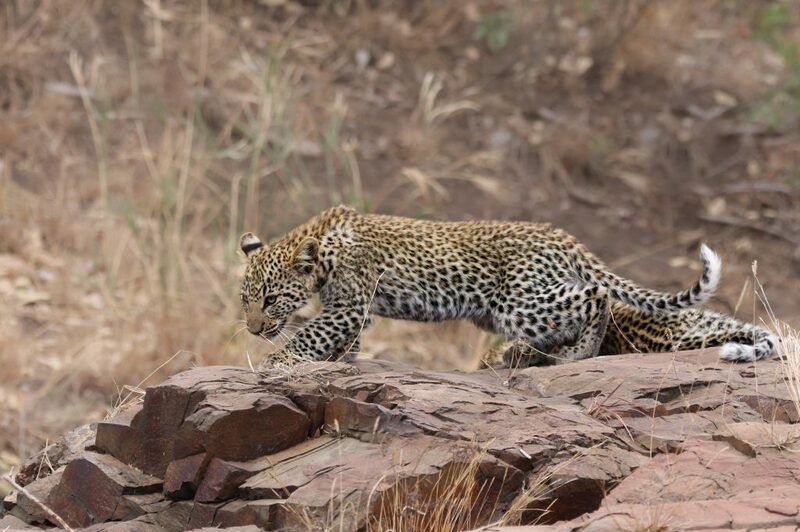 At this point, I’m completely blown away by the urgency in which Kruger has delivered my sightings request. 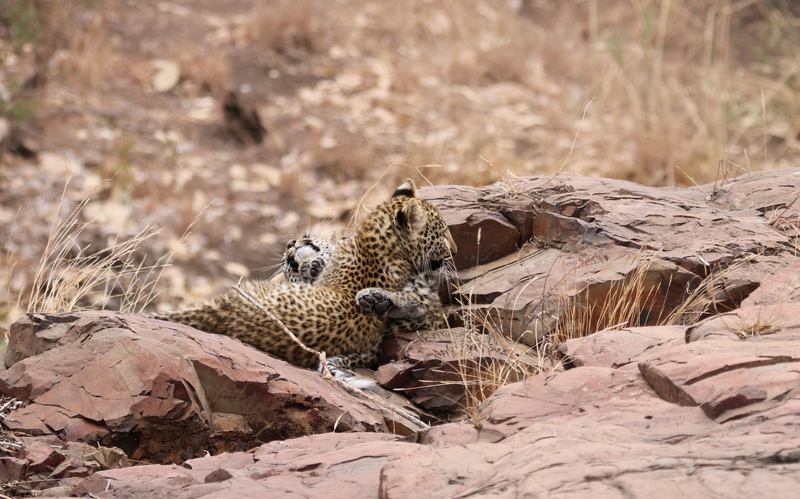 It then dawns on me that I haven’t yet attached the ‘big’ lens to my camera… Anyway, it didn’t even matter because the cubs were not perturbed by our presence in the slightest. They made no attempt to hide away. I snapped a few pics with my the smaller lens whilst Nic located the larger lens for me. I tired to attach it but my shaky adrenaline fingers would not quite co-operate. Trusty Nic took over, attaching the lens in record time. I had not used the camera before (apart from a few halfhearted snaps of a noisy rock thrush in the garden at home). It was all a bit chaotic from a photographic point of view, but my goodness, what an incredible sighting . The cubs were evidently in the process of waking up after an afternoon snooze. There was a great deal of stretching, rolling and paw-to-face action going on. 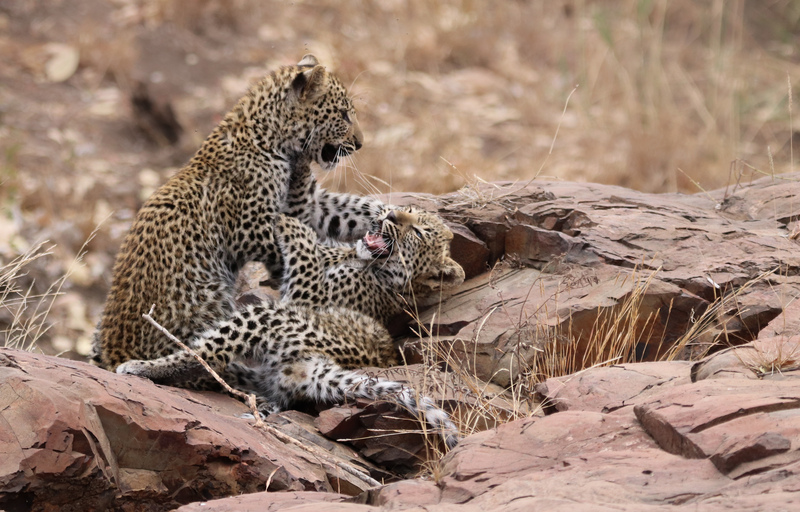 Despite the sleepiness, they were very active, playing and wrestling with one another. Well, I say that. 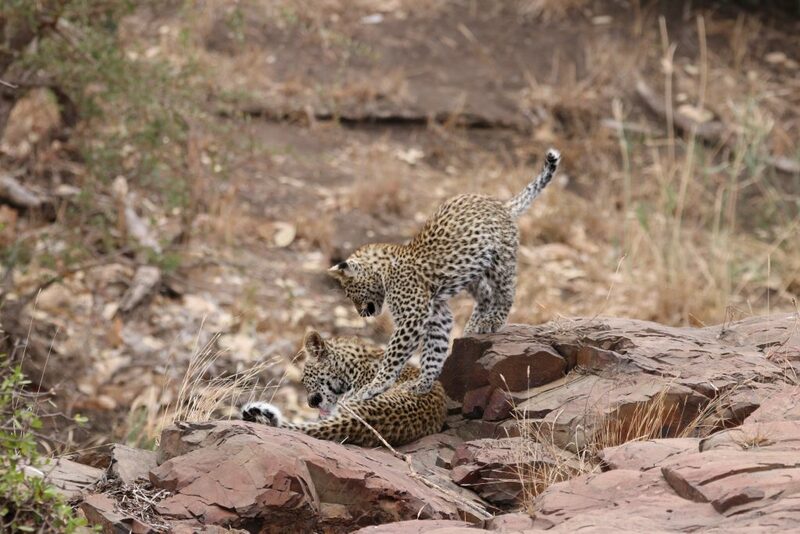 It was evident that one of the cubs was a male (left), and the other was a female (right). They were very generous in offering this information to us, giving us multiple views of every angle of themselves during play. Whether we asked for it or not. 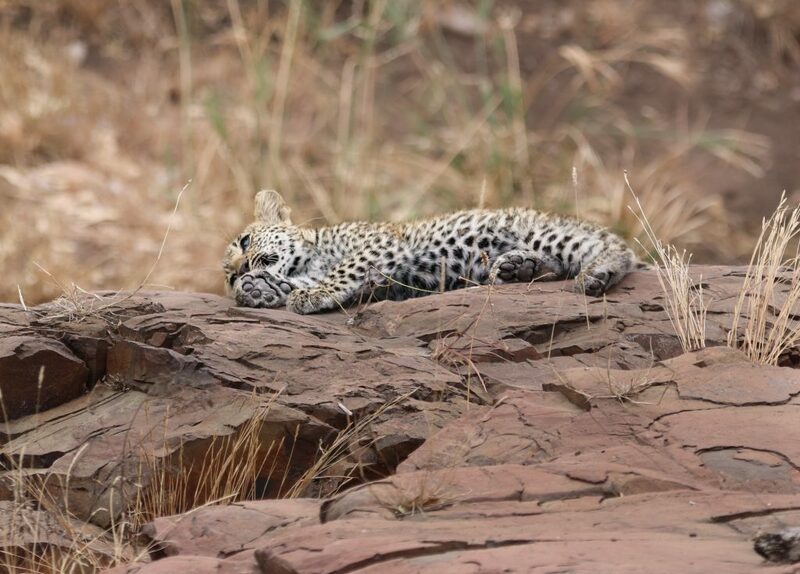 The little female was quite content having a snooze on the rocks. The little male wanted nothing more than to play with his super sleepy sister. Relentlessly cuddling, pawing, swatting , and wresting his poor dozing companion. It was quite obvious that the little female wanted to play too. She was just having a ridiculously hard time waking up to do so. Eventually, she rose to her feet. She gave a lazy stretch before subjecting her brother to her ‘sleepy pounce’ routine. The ‘sleepy pounce’ – it’s a movement that starts with all the promise of a full blown pounce. Half way through the pounce however, the pouncer realizes that they’re still quite sleepy. The pounce is subsequently aborted once liftoff has ensued. This results in a rather messy and definitely awkward, halfhearted collision with the victim. Once contact has been established, the pouncer remembers that she’s wanting to wake up to play, not to sleep. The body then engages ‘wake-up stretch’ mode. The stretch is executed whilst draped atop the head of the victim. The stretch is finished off with a biiiiiiiig toothy yawn. 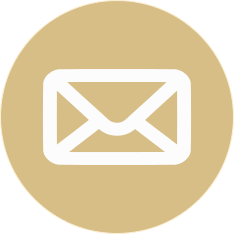 It is evident that this tactic is most confounding to the victim. It’s a well known fact that yawns are contagious and, in a moment of confusion the victim can’t recall if he is feeling sleepy or playful himself. The conclusion is irrelevant as the last act of the sleepy pounce is performed. Both pouncer and victim slide head first off the small, smooth and evidently slippery river rock on which they are lying. Heads are in the sand, bottoms are in the air, tails are tangled and there is a furry blur of spots all over the place. It’s all just very bewildering. It’s also very amusing to any onlooker who happens witness the performance!!!! Oh, but good luck trying to photograph the sequence with adequate sufficiency. The sleepy pounce routine has an effect on spectators too. You find yourself laughing hysterically, instead of clicking away with your camera. But that’s okay. We spent the next half an hour or so watching the cubs stalk a pair of Spur fowls. It was absolutely adorable, watching their attempts at fowl catching (I fear the spurfolws would disagree). A mixed effort of internal instinct and mimicry of things they’d obviously seen their mother do. Speaking of “mother”, we had hoped she might make an appearance, but no such luck. The ‘francolin’ were not really interested in being pounced upon. They were evidently keen to live to see another day, taking to the wing, charging off into the wilderness, squawking like lunatics. Clearly, the stalk had taken it out of the cubs. They flopped back down on the rocks for a rest. 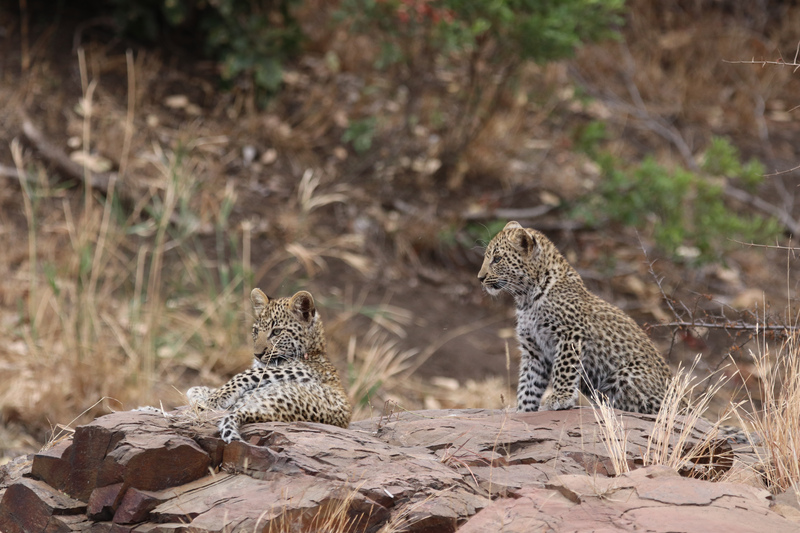 We stayed with the little leopards for another half an hour or so, just enjoying their company. I estimate that the cubs were +- 8 months old. They were still quite small (the spurfowl might disagree). They were however, very confident, very brazen and bold without their mom around. In time, another vehicle arrived on the scene. Having set off from home at 4am that morning, we decided to pass the torch and head forth to camp. Sitting in camp the next day, I have a somewhat obscured yet sufficient view of the mighty Olifants river sprawled out accross the landscape beneath me. The breeze that rushes up the hillside carries the sound of water gushing over the rocks below. The air is thick with the scent of the creamy coloured blooms of the acacia robusta that is in flower alongside our hut. The blooms have attracted an enthusiastic host of feathered friends who are having a grand old time feasting on the never ending buffet of floral deliciousness. There are dwarf mongooses nearby, tree squirrels in just about every direction you look, and there are lizards and skinks aplenty too. A mocking cliff chat whistles sweetly, perched on top of the chair next to mine. Safe to say I’m very content, completely in my element. I still can’t believe our luck on the day of our arrival. This is only the beginning of our two week stay in the park. I can’t help but wonder if our luck will hold out… More to come in my next blog perhaps. Your birds are awesome robs – esp the little owls !!!! Can’t wait to see it finished !! Robs, well worth the wait and thrilled you have your creative drive back. i remember those little owls well! Its wonderful you are capturing the memory for ever. Keep adding to the flock in your studio! Looking forward to the release of the goats, leopard and giraffe ! Thank you for sharing. 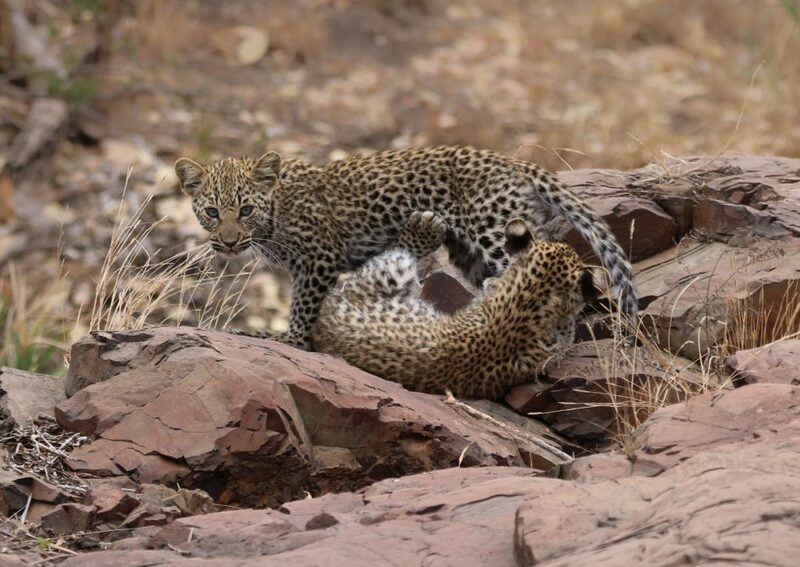 Such a lovely and warm description of the beauty of your cubs encounter, thank you, Robyn. Thank you Shirley. I’m so glad you enjoyed the post. It was such a special encounter, wonderful to be able to share it. What an epic experience – and I love your pics – thanks for sharing. I wonder if you would mind sharing the road number of your dusty track???? 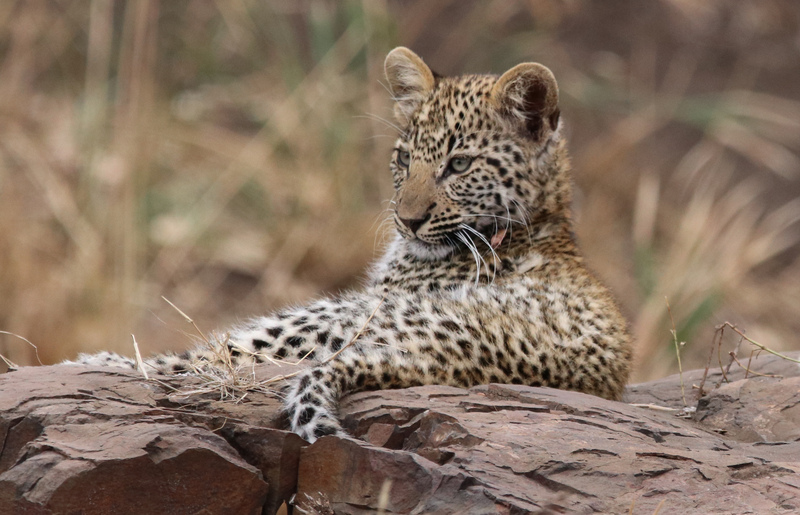 About to leave for North Kruger is 2 weeks time and very excited! All the way to Pafuri. Hi Elaine. Firstly- LUCKY YOU!!! It’s so special up at Pafuri. This particular road is much lower down, in between Satara and Olifats. It’s a 7km, one way only little track. It’s not actually on the map (it’s only a year or so old). It’s very easy to find though. 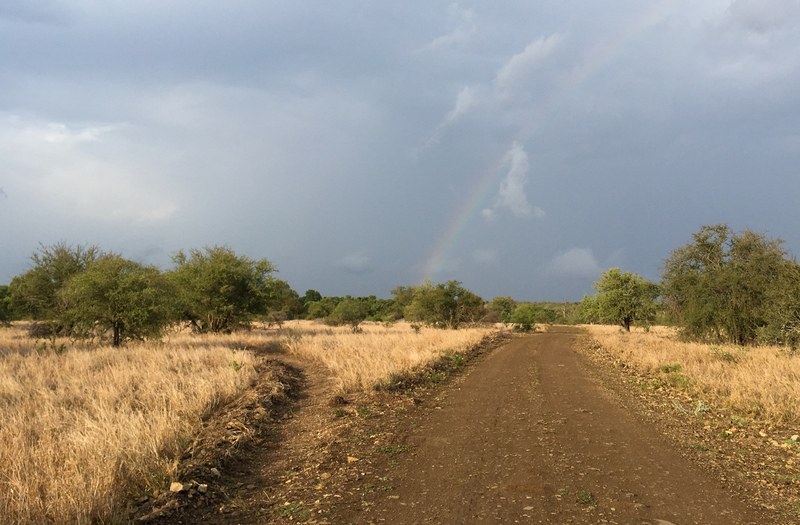 If you’re traveling on the main road (H1-4) between Satara and Olifants (+- 37 kms north of Satara) you will come to a little road off to the east (marked 7km, one way only). It’s a lovely little track that meanders along a little creek. It comes out onto the S89. We have had great success with leopard and lion on that particular road. 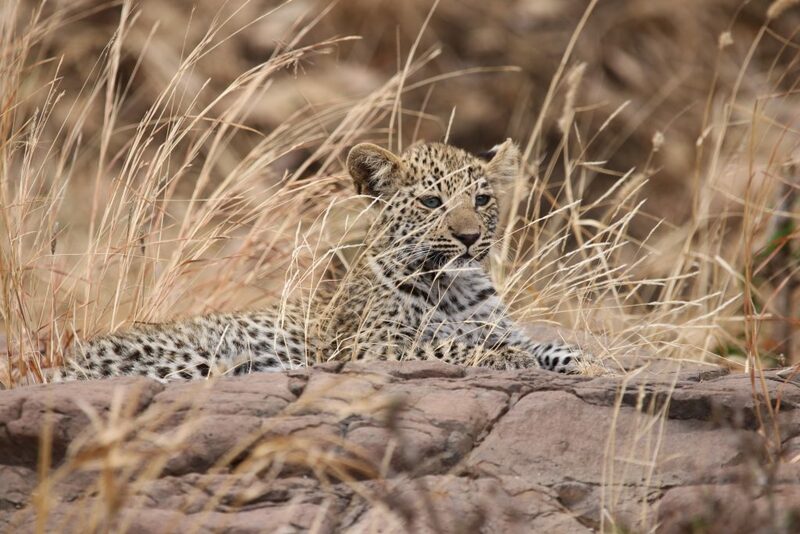 Have a fantastic time in Kruger (I’m so envious). I hope you have fabulous sightings- we had AMAZING lion sightings up at Punda Maria this last trip (they often seem to hang out around ‘klopperfontein’ dam).